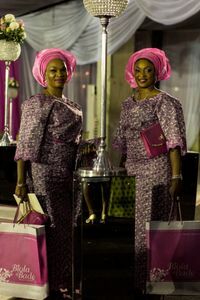 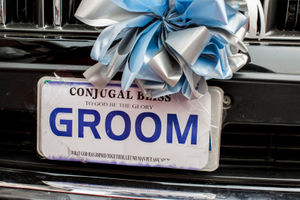 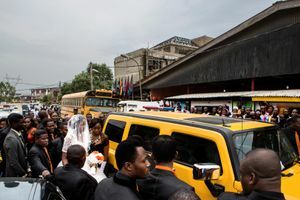 Weddings in Nigeria are not private affairs – they are public displays. 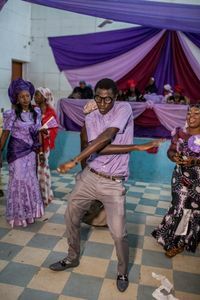 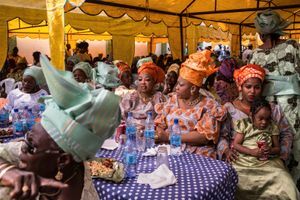 The music is loud, the jollof rice is plentiful, and the festivities go on for hours. 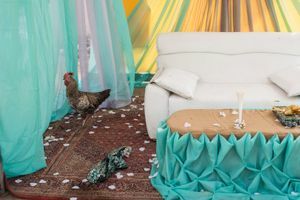 Everyone is invited, and those who aren’t come anyway. 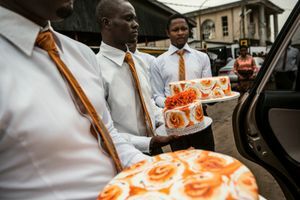 My project is about the fantasy world created by the elaborate stylization of weddings in Nigeria. 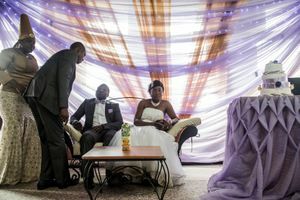 These images are not created for the consumption of the couple, but rather use weddings as an opportunity for narrative: moments of flux and change are celebrated through ritual displays of class, gender and allegiance. 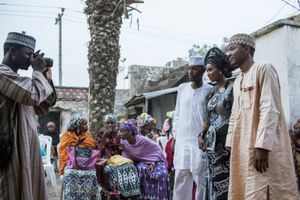 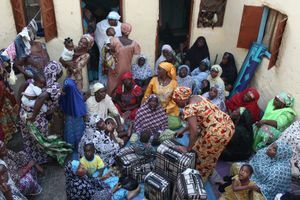 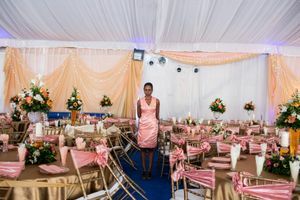 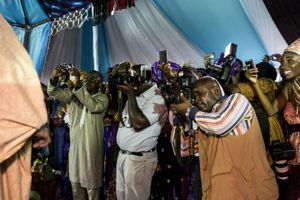 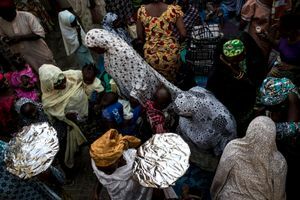 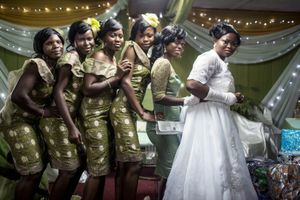 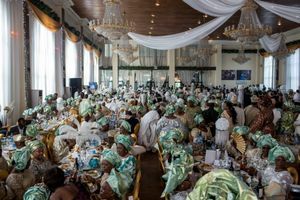 A wedding with thousands of guests is one way to visualize just how big Nigeria's economy is – 160 million people live in Nigeria and it has the second highest GDP in Africa. 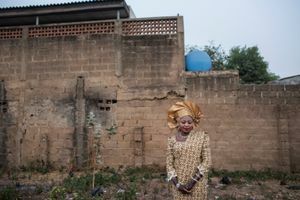 Money trickles down from the 2.5 million barrels of crude oil produced per day by the Oil and Gas people. 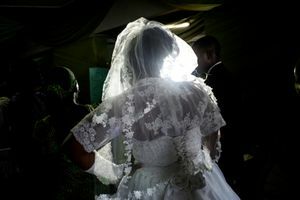 The rich and poor live vastly different lives in this unequal nation, but, spending all you can, primping, posturing, and looking good on wedding day is a practice that bridges all class barriers. 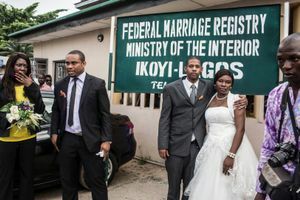 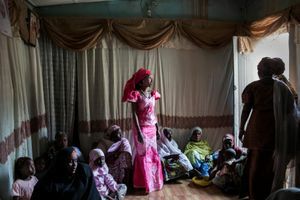 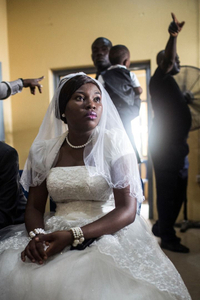 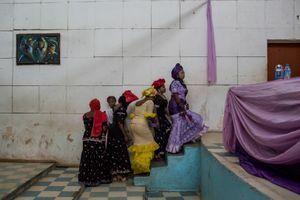 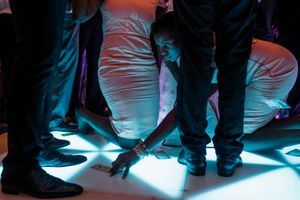 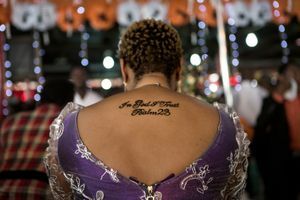 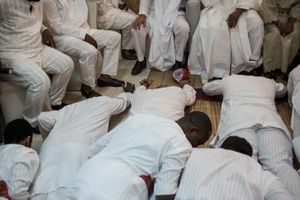 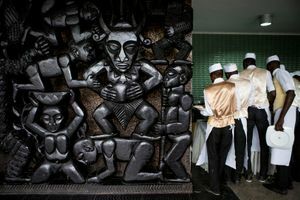 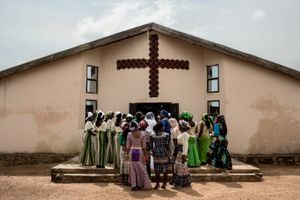 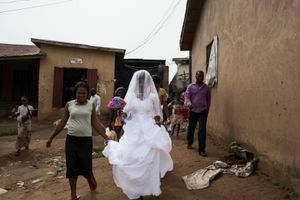 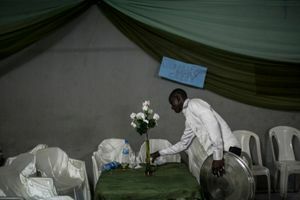 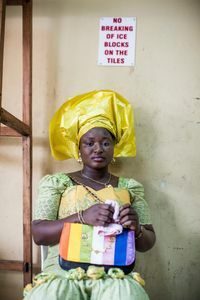 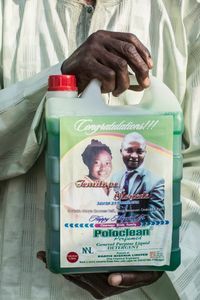 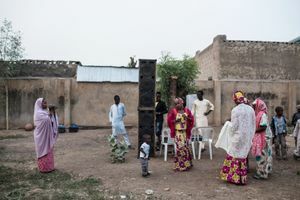 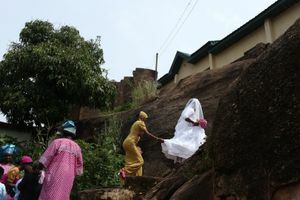 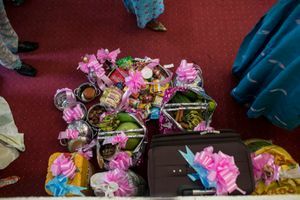 These images explore what it costs to get married in Nigeria: what money can and can’t buy, and the quiet moments during frenzied ceremony.